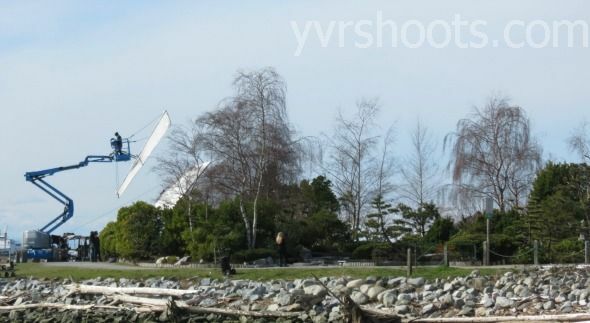 Once Upon a Time is filming in Steveston for [four] full days for its season two finale — And Straight on ‘Til Morning. 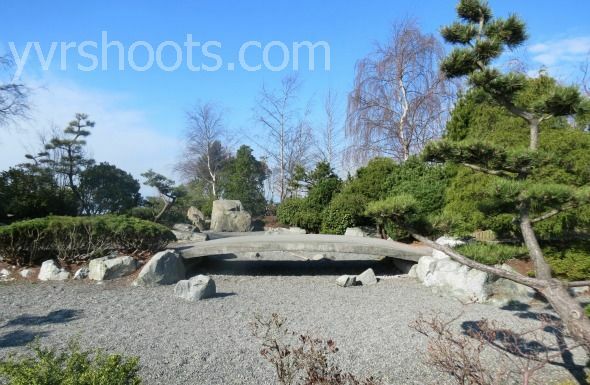 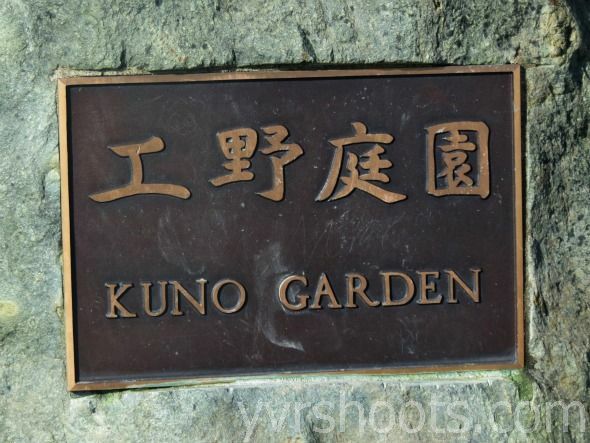 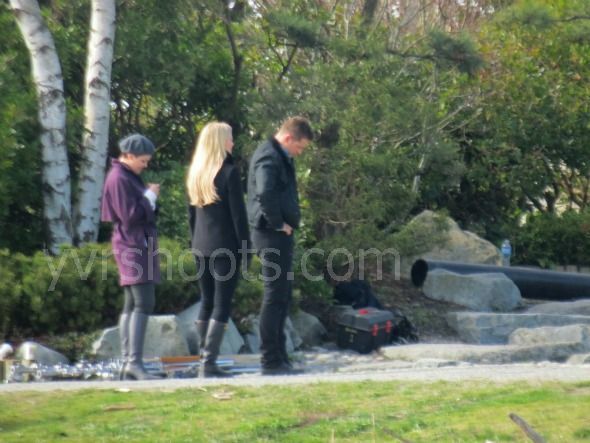 Wednesday, March 27th, was Day Two and began with cast — including Jennifer Morrison, Ginnifer Goodwin, and Josh Dallas — on set for an early morning runthrough around 8:30 a.m. in the Kuno Garden at the 75-acre waterfront Garry Point Park, west of the historic village of Steveston. 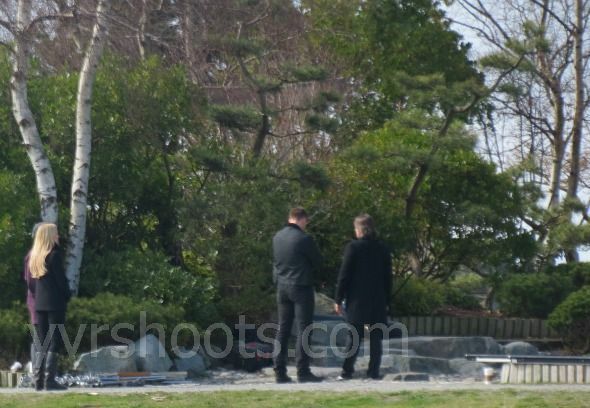 Real-life couple Goodwin and Dallas took a quiet stroll together in the sun after and then headed back to circus while crew set up for the morning scene of Emma and her parents, Charming/David and Snow/Mary Margaret, driving up to the garden in Charming/David’s truck and walking into the Japanese-style memorial garden where the emotional moments took place. 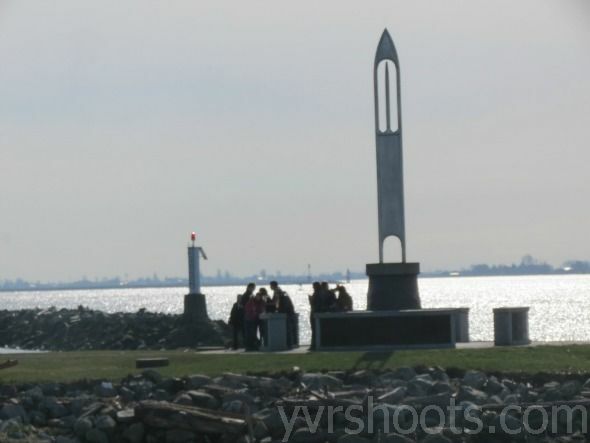 Visiting international Evil Regal fans and local fans watched Charming/David’s truck drive up from their vantage at the Fisherman’s Memorial Needle. 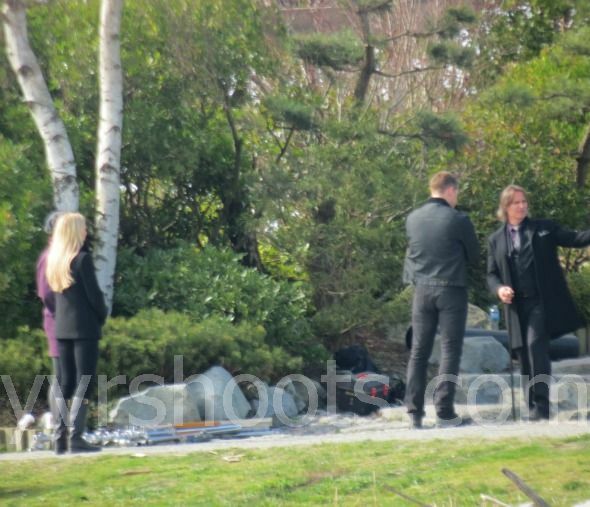 And met Granny (Beverley Elliott), who was waiting for the next scene. 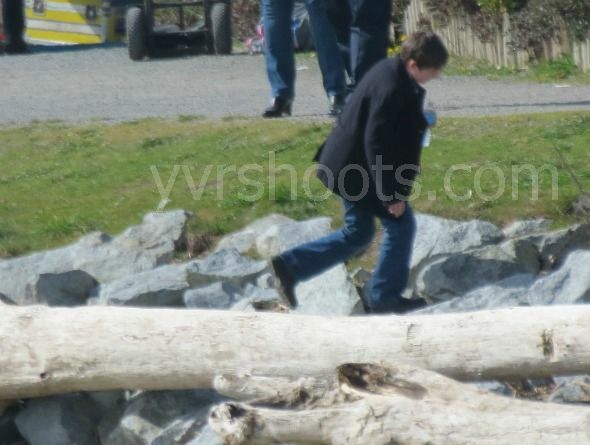 Later on, Jared Gilmore played on the beached logs ahead of his next scene in the Kuno Garden with Henry’s mother Emma and his grandparents Snow and Charming and Rumple. 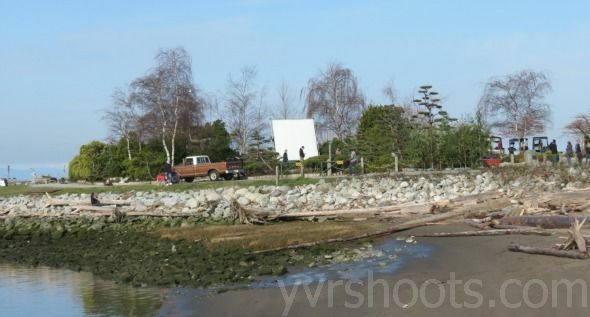 In late afternoon, Once Upon a Time started filming scenes on Moncton Street in the village of Steveston which were more spoilery so I’ll hold onto them for a while. 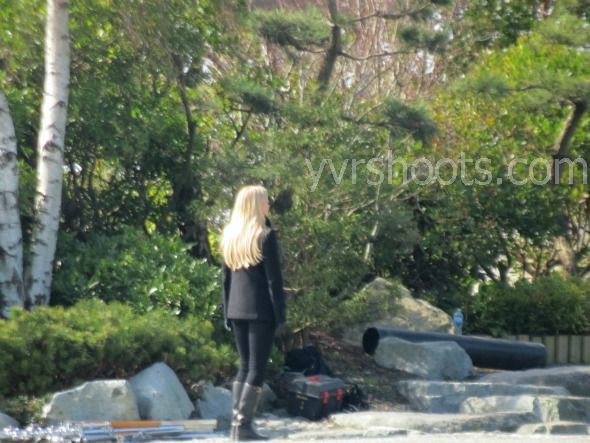 Once Upon a Time returns with a new episode on Sunday, April 21st.